From the business’ viewpoint, opening a flagship store on Garosu-gil has a great significance and value. For that reason, our client had a great burden, as much as a high expectation. However, the existing Sappun Hongdae Store No. 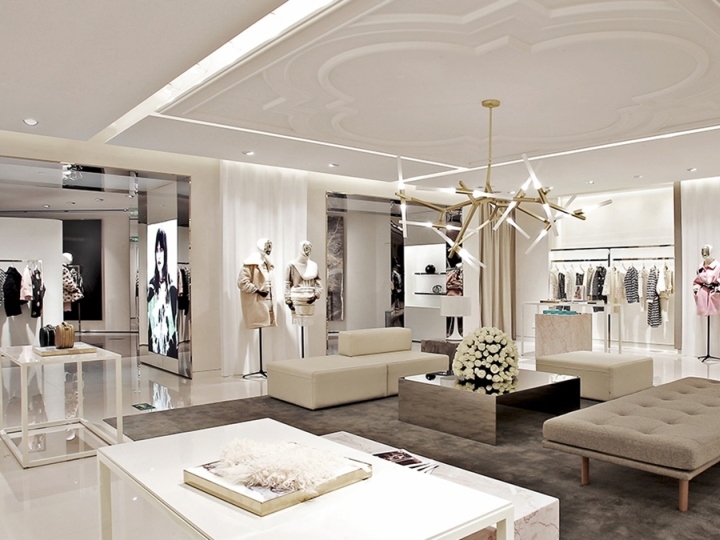 1 is enjoying a reputation as a ‘store that always has people waiting in line,’ and it is showing rapid growth offline, so the client wished that the opening of a Garosu-gil flagship store would lead to growth as a more recognized brand. During a meeting, the client said, “I want to have a space that will show the brand ‘Sappun’ is growing further and becoming strong”. 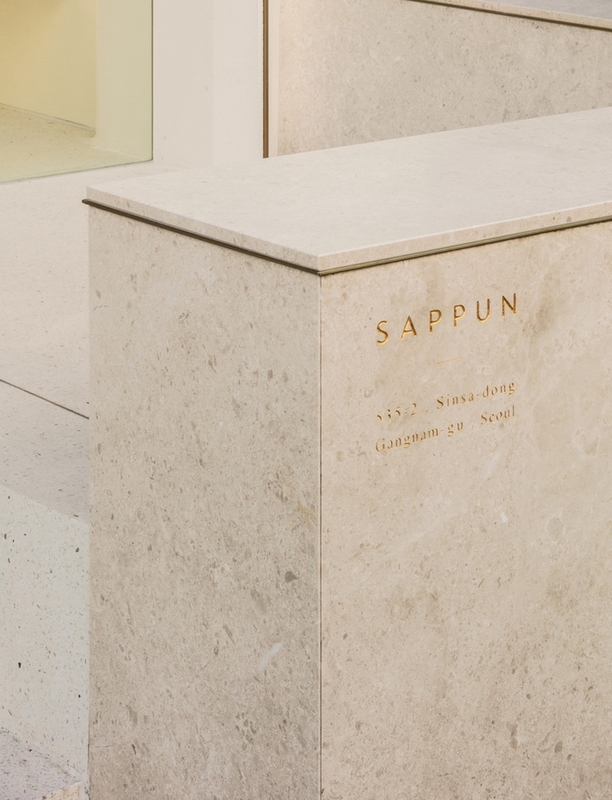 For the past 2 years, Sappun has become a famous brand, but our designers had to come up with ideas on how to instill the impression of a more mature and deep brand into the space. In contemporary times, women’s shoes have an expressive function, of expressing oneself, rather than the simple function of a tool. Accordingly, the design of shoes is advancing rapidly, breaking away from the basic formativeness. 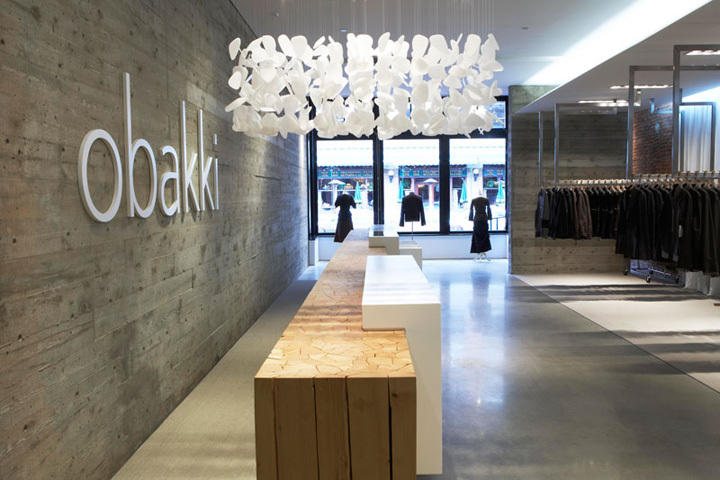 Designers want to reflect that trend in the space from the formative aspect of shoes. The exterior of Sappun’s new building will have curves, starting from the entrance facade. The curved surface on the right side of the entrance will continue onto the storage room located on the back side of the counter and the space will look deeper and can be expanded. The wall on the left side will start from the back side of the partition and will continue on from the ceiling, so it will look like it has continued on from the outside and the column between the two partitions continues on from the ceiling and heads toward the right side. This design will show that the curved surfaces of the three elements will overlap on the ceiling and will provide various visuals on the ceiling, which could have been simple and boring, and rhythm in harmony with space. 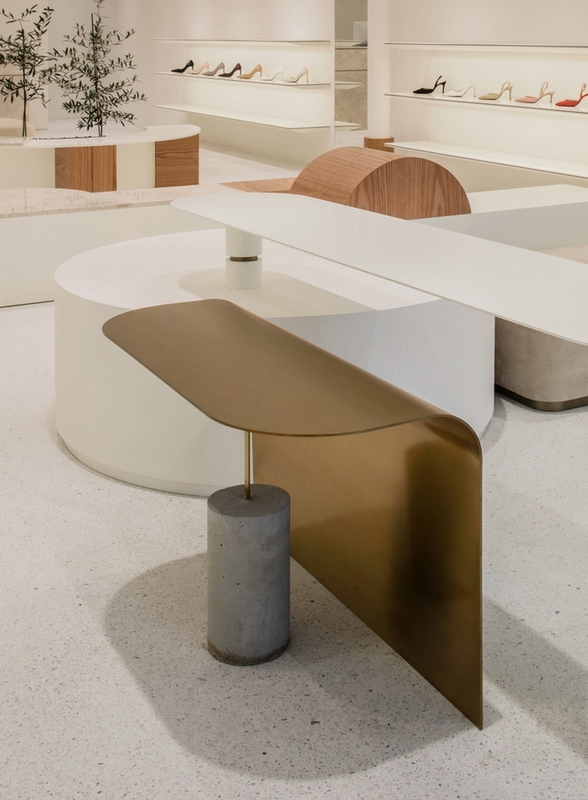 In addition, such curves will continue on to the counter in the same form, having innate commonness, and other furnishings and details will have common features, expressing Sappun’s controlled sensibility rhythmically. Starting from the entrance, centered on the center, the center of weight is shifted to the right side and the passage of the entrance leading to the inside is opened large. This design is intended to make the left side of the entrance lighter so that the traffic of entering customers can be induced to the space lightly and naturally and the space can look deeper. In addition, the walls on the left and right sides, as well as shelf furnishings, will have different shapes and finishings. This intentional asymmetry will have the effect of removing boredom. The left and right sides in the space will form asymmetry, and different designs of furnishing will be applied depending on each area. On each elevation, partitions and columns will be placed repeatedly, and elevations will be repeated in a regular fashion to provide rhythm and vitality to the space and as the right and left sides contradict, the space will form a unique balance. We designed multi-dimensionality to have two perspectives in the space. They are a big perspective for space that is formed by the floor, walls and ceiling and a small perspective for space that is formed by the individuality of furniture and fixtures. Among them, the most noticeable part is central design furniture. 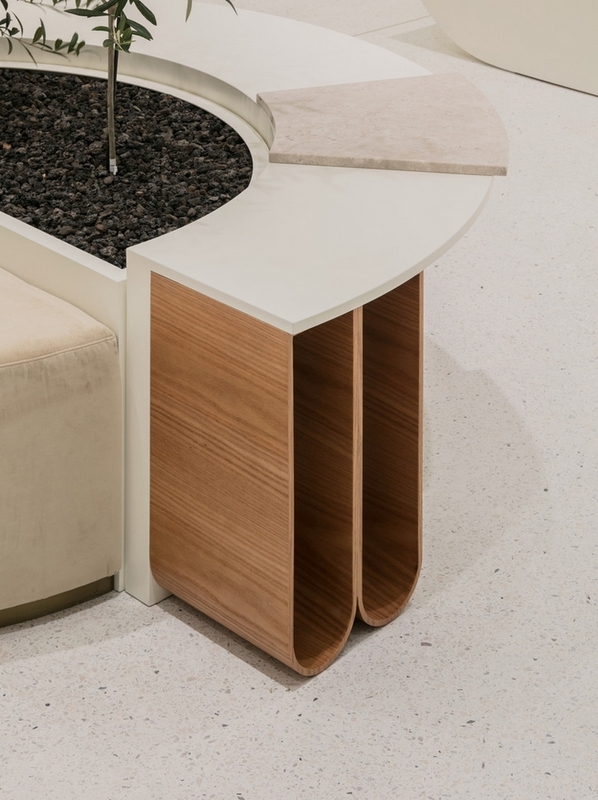 While designing furniture, the shape of shoes and heels were reflected on the furniture and 4 pieces of center furniture have different functions and shapes, respectively. According to such forms, the furniture can work as a display stand or a chair or a planter to provide fun and vitality to the space. 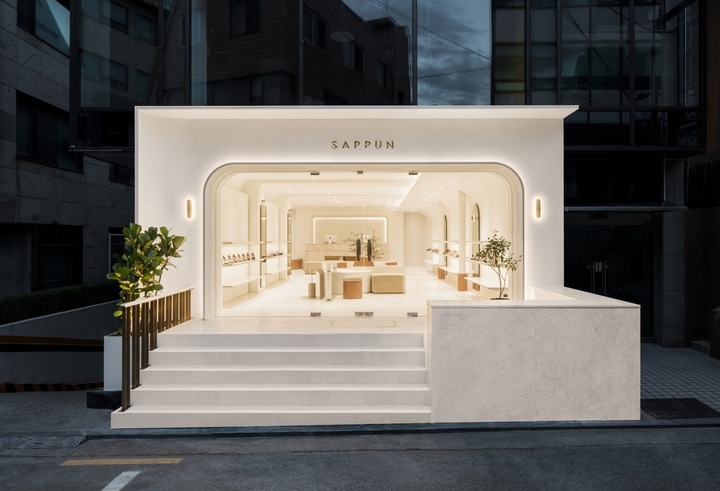 Sappun flagship store will be a space smeared with the unique tastes and aromas the brand wants to cherish instead of just being a simple beautiful space. 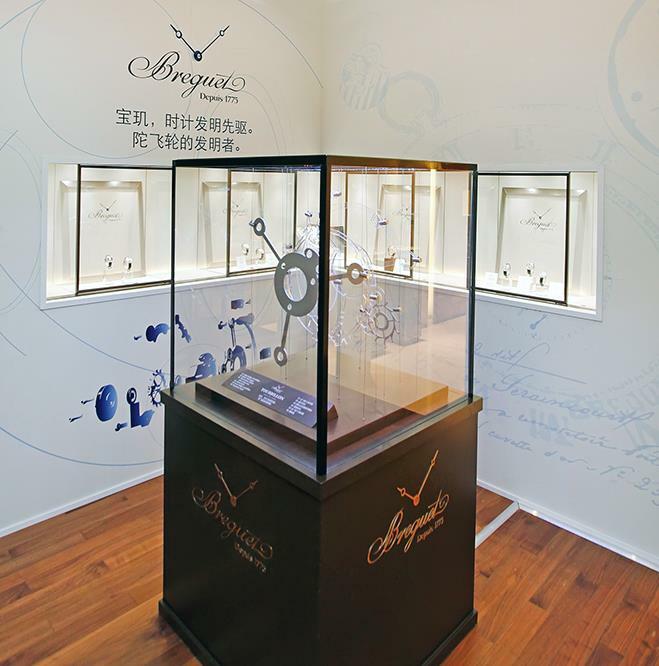 We hope that the space will offer new sensibility experience for customers while they purchase Sappun’s shoes.